Ankara has several excellent museums for those with any sort of interest in the struggle for independence and of Ataturk himself. There is a museum dedicated to the war of independence, as well as an impressive ethnography theme and further offerings showcasing the history of rail within Ankara and throughout Turkey. 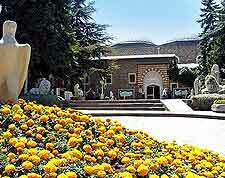 Without doubt, the best museum in Ankara is the Museum of Anatolian Civilisations, which depicts everything about the peoples who have lived on the Anatolian peninsular through the ages. Every major period is represented here. Winner of the 1997 Best European Museum award, Ankara's Museum of Anatolian Civilisations details Turkey's past through innumerable artefacts from the Anatolia peninsular. The building itself is particularly imposing and is a restored ten-domed 15th-century market vault (bedesten). Exhibits include fine examples from Paleolithic and Neolithic times, right up to the Lydian period and everything in between. The classical Greek and Roman artefacts downstairs are also worth checking out. Visitors can check out the many photographs and documents at the Museum of the War of Independence to learn details about independence and democracy in the Ottoman Empire. 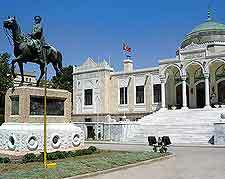 The Republican Grand National Assembly, previously the Committee of Union and Progress Ankara headquarters, held its first sessions here. Previously Ataturk's offices and located just to the south of Ulus, the Ethnography Museum displays tributes to Ataturk, with photographs of his funeral on the walls as well as stunning collections of porcelain, embroidery, and woodwork. 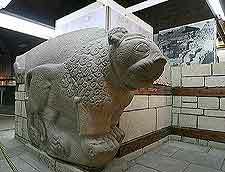 The building is quite attractive in itself, being a post-Ottoman structure clad with marble. This somewhat quirky museum is a refreshing change to the norm of Ankara's museums, which can be heavy on Ottoman history. It features an impressive collection of vintage engines, which kids are sure to enjoy. 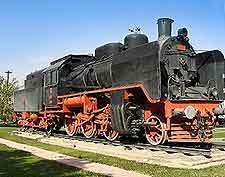 The Open-Air Steam Locomotive Museum can be found to the south of the main rail station, on the underpass before the Tandogan Kapali Carsi shopping area. Also on the train theme, the Railway Museum and Art Gallery is worth checking out for those with a long wait for a train. 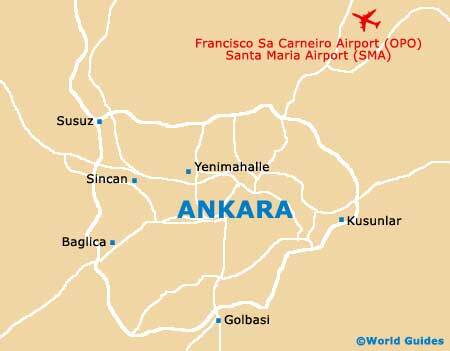 It is located in a little building on Platform 1 and was actually Ataturk's home during the War of Independence. Also here is Ataturk's private rail coach, which was actually a present from Hitler.